Brand Value Ltd (“naturalglow.co.nz”) is committed to providing best practice privacy standards to protect the personal information you provide when using the naturalglow.co.nz website. As a general policy, no personal information is automatically collected from users of the site. In the event that we do collect any personally identifiable data about visitors to this site, that information is only collected on a voluntary basis. Whenever Brand Value Ltd collect personal information from you, we will make every reasonable attempt to inform you of why we are collecting this information, to whom we will disclose the information and the purposes for which we intend to use the information. While Brand Value Ltd exercise great care in relation to the security of your personal information, no data transmission over the internet can be guaranteed to be 100% secure. Brand Value Ltd does not ensure or warrant the security of any personal information transmitted on the website and you do so at your own risk. Please contact Brand Value Ltd if you have any questions or concerns in relation to the privacy of your personal information. Similarly, if you wish to access personal information that we hold about you, you may make a request in writing. If you are interested in obtaining additional information on privacy you can contact the New Zealand Privacy Commission. Natural Glow Proudly supports CanTeen - an organisation supporting young people living with cancer. CanTeen is for anyone between the ages of 13 and 24 who is living with cancer.  CanTeen aims to provide a relaxed, friendly and fun environment where they can share their thoughts and feelings with other young people whose lives have been affected by cancer. The purchase of every Natural Glow product will benefit this cause.